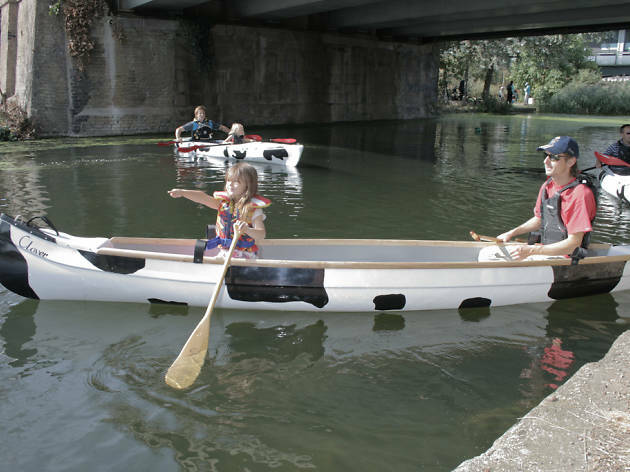 Kayak down the Thames in a bovine boat as part of this alternative sightseeing tour. A two-man vessel decorated with a black and white cow print will be your mode of transport. There are several alternatives but 'Greenwich Meal Time' runs from Limehouse Basin to Greenwich, where you'll disembark and dine in a riverside restaurant, before sailing back via the Millennium Dome. The trip is suitable for beginners and no kayaking experience is necessary. 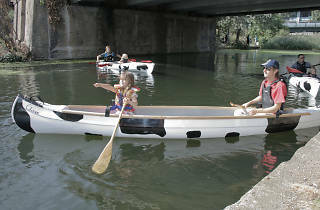 Great fun mini expeditions down the London waterways. We went from limehouse basin to Hackney wick in the evening - the instruction was great - the canoes were good (painted as black and white cows hence the 'moo'). They'd partnered up with 'Secret Adventures' which made it extra special. Lovely evening and would definitely return for another excursion.